Love and Understanding (1967/68) were a Walsall-based group formed as a vehicle for songwriter Keith Law (formerly of The Williamsons). They performed only original songs written by Keith. The group played at schools, colleges and universities. 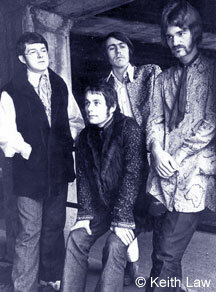 Keith Law composed original songs that were recorded by the psychedelic Brum band Velvett Fogg in 1969. He later joined Paint (later known as Jardine).